A carefully crafted formulation that works in harmony with baby’s body to support natural processes of oxygen flow. Designed to support a child when colds and coughs are rife, it is made using pristine medicinal oils to include decongestant, expectorant, antiseptic, anti-viral and antispasmodic properties. Use Nose & Chest to help clear mucus congestion and assist healthy breathing with its deep penetrating, therapeutic aroma. Baby Care: Nose & Chest contains absolutely pure ingredients especially for babies and children. Suitable for diffusion, inhalation and bath. Directions are age specific. Breath ‘+ Spray is essential to combat the respiratory ills. It helps to go through the winter thanks to the action of an exclusive complex of 7 essential oils with purifying and cleansing properties from organic farming. Made from steam distillation of lemongrass’ leaves, Florame’s certified organic Lemongrass Essential Oil is botanically and biologically defined. No synthetic ingredients, no dilution with other essential oils, no modification made to their natural composition, Florame’s certified organic Lemongrass Essential Oil guarantee to be of the purest and highest quality. 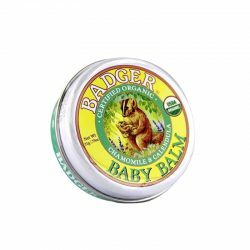 Care for your loved ones with 100% natural, safe and soothing Badger Baby Oil. Formulated with moisturizing oils and calming herbs to nurture and protect delicate baby skin. A cooling temple rub rich in botanical extracts and a pinch of super-concentrated Menthol Crystals; It promotes calm and sense of relaxed and well being. Selected from the best organic Sweet Almond Nut and cold pressed to preserve its virtues, Florame’s Organic Sweet Almond Oil is truly genuine pearl of beauty from the nature. This vegetable oil can be used alone or combined with a few drops of well-chosen essential oils, delicately providing your skin the purest care and nourishment needed. Made from cold expression of lemon peel, Florame’s certified organic Lemon Expressed (Peel) Essential Oil is botanically and biologically defined. No synthetic ingredients, no dilution with other essential oils, no modification made to their natural composition, Florame’s certified organic Lemon Expressed (Peel) Essential Oil guarantee to be of the purest and highest quality. Made from cold expression of lemon peel, Florame’s certified organic Lemon(Peel) Essential Oil is botanically and biologically defined. No synthetic ingredients, no dilution with other essential oils, no modification made to their natural composition, Florame’s certified organic Lemon(Peel) Essential Oil guarantee to be of the purest and highest quality. Made from steam distillation of lavender’s flowers, Florame’s certified organic Fine Lavender Essential Oil is botanically and biologically defined. No synthetic ingredients, no dilution with other essential oils, no modification made to their natural composition, Florame’s certified organic Fine Lavender Essential Oil guarantee to be of the purest and highest quality.